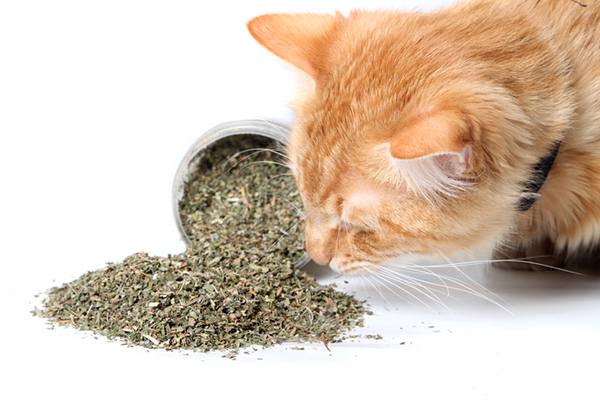 Let’s Talk: Do You Have Trouble Brushing Your Cat’s Fur? My Momma Kitty hates to get brushed, but she often has mats in her fur. What should I do? It all started about a year ago when my semi-feral cat, Momma Kitty, started developing mats on her back. 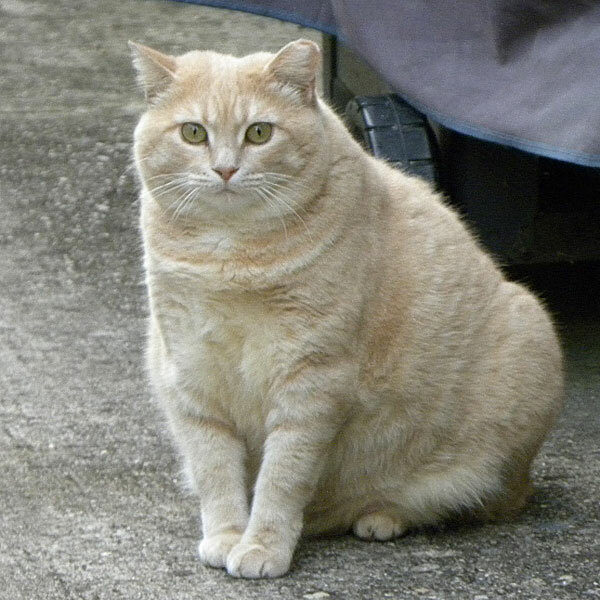 She’s a buff-colored cat with very soft and thick fur. Over the years she has grown to be, shall we say, a well-loved cat. She loves to socialize with the other cats around the food bowl. Of course, her being a southern kitty, it would be impolite for her to not partake in a small sampling of food every time someone comes to visit. This is true whether it’s the other kitties or me. She has grown to the point where it is difficult for her to groom her back. Thus, when summer arrives, the mats begin to develop. At one point about a year ago, the mats had gotten so bad that I had to trap her and take her to the vet for a complete groom job. I’ve written about this escapade in a past article, so I won’t go into all of those details here. Let’s just say that it was a total disaster! She managed to get bathed and shaved but not until she bit the vet tech, swatted at the vet, and hid in the corner of the exam room for over an hour. Once home, she ran away for three days to pout before returning home. I’ve tried to brush her using a fat brush that I specifically bought for her. However, being semi-feral, she really won’t let me do much brushing. Each time she sees me walking toward her with the brush, she scampers away as fast as her robust body will carry her. I’ve tried hiding the brush in my pocket while placing her food in her bowl. I thought that since she lets me pet her while she is eating, surely she would let me brush her during that time. Well, no chance of that happening. Once the brush touches her fur, she will look up at me and give me the stink eye. This is my warning that she is either going to run off or swat at me if I continue with this brushing nonsense. I’ve tried leaving the brush out beside her food bowls, thinking she would get more comfortable with it. Instead, she will choose to eat from the bowl that’s furthest away from the brush. My other semi-feral cats rarely, if ever, allow me to pet them. As for the brush, they think it’s a toy and choose to swat it back and forth across the garage floor. However, I’m less concerned about brushing the other cats. They are in great shape and maintain their perfect weight. They are also able to groom all parts of their body, thus keeping their fur nice and neat. I know I’m not the only person to have this challenge. I have plenty of friends and clients who have loving and affectionate domesticated cats. They have no problem picking them up, carrying them around, petting, kissing, and loving on them pretty much when they like. However, if the brush comes out from hiding, the love session is over. The cats will bolt to the furthest hiding spot and won’t be seen again for many hours. I know that there are a lot of great grooming products and a lot of really iffy gizmos that can be used. However, I’m not sure that they would help my situation. Having feral cats, even ones who will sometimes allow you to briefly pet them, is much different than having a fully domesticated cat. Even then, if a cat doesn’t want to participate in something, good luck trying to convince her to cooperate. 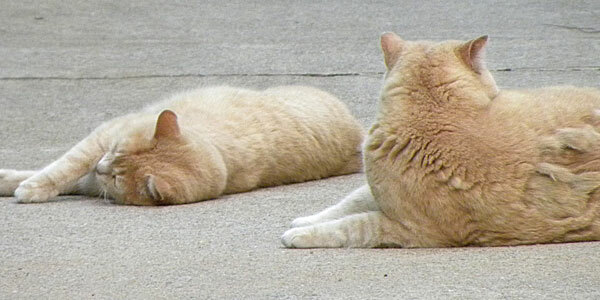 For now, I’ll keep trying, because I want the best for my cats. I just hope that another grooming visit doesn’t have to be arranged. I know my vet and groomer don’t want to receive that call. 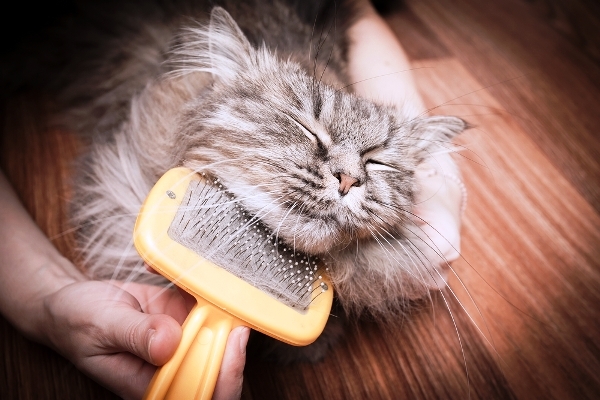 Do you find it challenging to brush your cats? How have you managed it? Share your stories in the comments! Let’s Talk: Where Do Your Cats Like to Be Petted? If You Have Indoor Cats, Do You Still Provide Flea Control? About Tim Link: All-American guy who loves to rock out to Queen while consuming pizza and Pinot Noir and prefers to associate with open-minded people who love all critters. Considers himself to be the literal voice for all animals. Author, writer, radio host, Reiki Master, Animal Communicator and consultant at Wagging Tales.